£100 deposit per week at time of booking ( non refundable for cancellations) Full amount to be paid 6 weeks before start of holiday. Harlyn Sands is a family owned park, offering a wide range of indoor and outdoor entertainment, including a large family fun pool with waterslide. This brand new van with double glazing central heating has spacious lounge and dining area with 40 inch TV and DVD a selection of books games and DVD's . A well equipped separate kitchen area with microwave and full size fridge freezer. large cooker toaster and kettle It has3 bedrooms (1 double and 2 twins) A large bathroom with a walk-in full height shower, plus generous storage throughout. The outdoor area is equally well maintained and clean, and has the added benefit of being a hedge row pitch, away from road and clubhouse. There is a charcoal BBQ, and garden table and 6 chairs 2 of them reclining .There is also storage box with children's beach toys, buckets, spades and fishing nets. Although, duvets and pillows are provided, you shall need to bring your own covers/pillowcases and towels. Just got back from an amazing holiday. 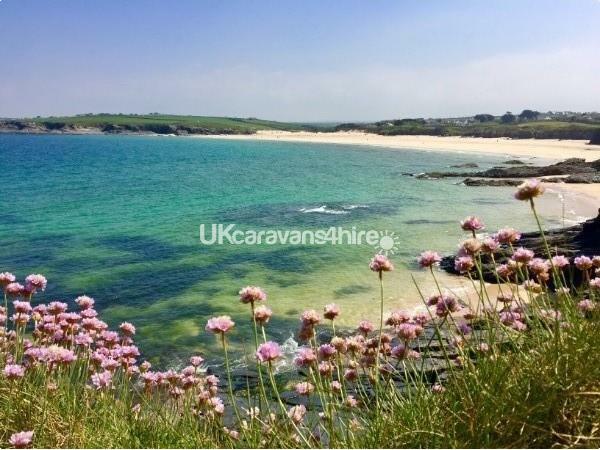 We have stayed at harlyn sands for the past 3 years but this was the first time in this caravan and it was the nicest we have stayed in. We have 3 young children and there is plenty of space for everyone. 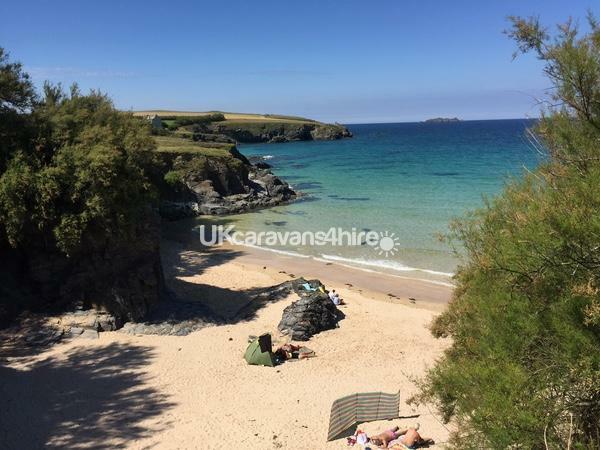 The owner clearly takes good care of the caravan as everything looks great and is well kept and there is a storage box in the garden area full of things you are able to use for the beach like bodyboards, buckets and spades etc which the kids loved to use. The caravan is in a very good spot on the site aswell that isn't too far from the clubhouse but far enough away that you dont hear any noise and it is great for access to the beach path aswell. We will be looking to stay in this caravan again in the future. Thank you Liz.